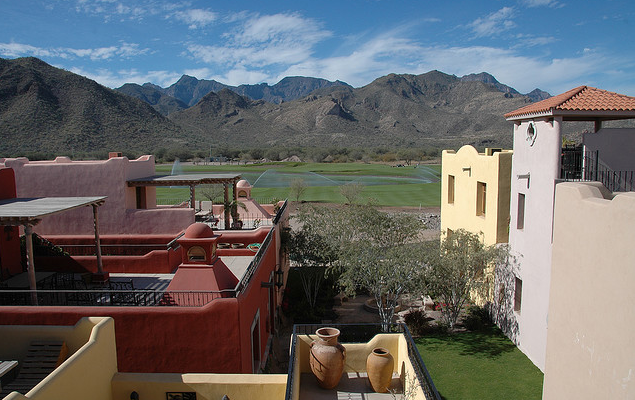 The Villages at Loreto Bay were being planned as a 6,000-acre, mixed-use community development and eco-resort located south of the town of Loreto in Baja California Sur. 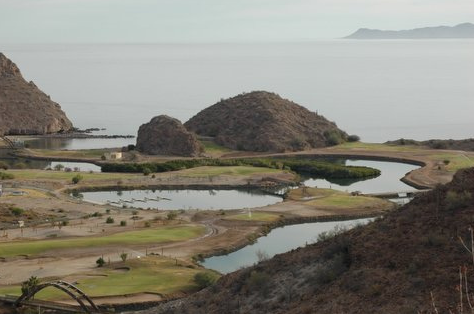 The site selected for development lay on a piece of beachfront between the Sea of Cortez and the foothills of the Sierra Tiombo and Sierra Santa mountains. The project aspired to be the world’s biggest green development. They wanted to establish wind and solar power generation to produce more energy than they consumed, desalinate water to reduce their impact on local water resources, biologically treat their sewage, and so on. These were all laudable goals, and we knew that we were working with people that were authentic in their aspirations. Our role would be to help ground these aspirations into a unique project concept that reflected the true potential of the place. A discovery that the Regenesis team made very early on was that the site for the development had been an estuary that had been bulldozed and filled in decades earlier by the Mexican government as part of it’s plans to develop the entire interior coast of Baja for tourism. The irony of this move is that the diversity and abundance of marine life in the Sea of Cortez was critical to the vitality and viability of the region–that’s how people made their livelihoods, that’s what attracted tourism, and that’s what made it of value to the world. This region was once called “the world’s aquarium” by Jacques Cousteau. But bad management practices, including deforestation, overgrazing, and the destruction of estuaries, which provide critical habitat, have been generating a critical decline in the health of the sea. 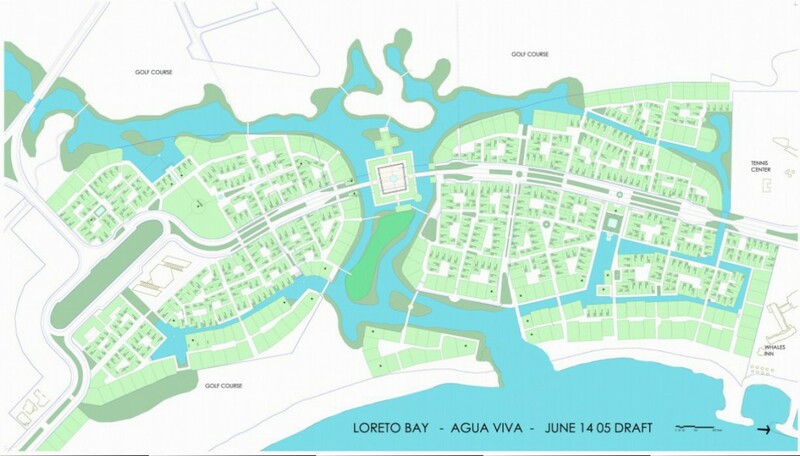 Regenesis proposed to the developers of Loreto Bay a radical idea. What if through design of the development, and through the way it managed its land holdings, the project re-established the function of the estuary? Estuaries are a kind of semi-aquatic forest that buffer the interface between the land and the sea. They stabilize the shoreline, filter the runoff from the land, and create a sheltered nursery environment where fish can get established and where nutrients are exchanged. 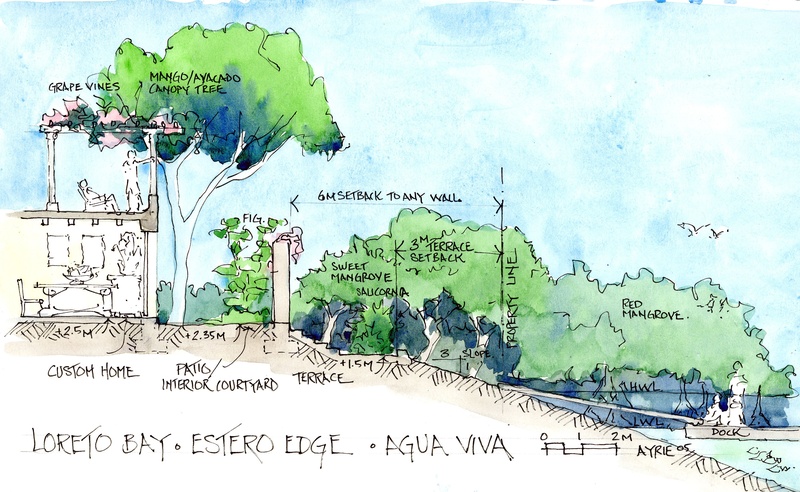 All of these functions could be restored through intelligent design of neighborhoods that included a network of tree-lined canals running through them, and through agroforestry projects that would hold soil and improve the quality of water moving down into the sea. This concept galvanized the planning team, which saw a way to create a better and more attractive offering to potential buyers, while also giving them a way to make good on their promise of a green project at a much deeper and more meaningful level, and with far wider systemic impact. The team, led by Canadian architect Ayrie Cunliffe, went on to create an extraordinary plan that did these things and more. Still, design and engineering is only part of the equation. It sets the stage, but even the best projects fall apart in time if they are not being continually maintained and improved by the people who use them. To be successful, a project needs to build understanding and commitment among local people, new residents, contractors, and maintenance workers—all of them needed to understand the importance of managing the community as a biological system (that is, an estuary) with a role to play in the health of the Sea of Cortez. Fortunately a foundation had been established early in the project and funded to ensure that any social and environmental impacts from the development of Loretto Bay were addressed. This new concept for the project gave the foundation a way to focus its work on the creation of a stewardship culture for the Sea of Cortez. The foundation went on to create a set of coastal development standards that would be used throughout the region to elevate the health of the relationship between the land and the sea. 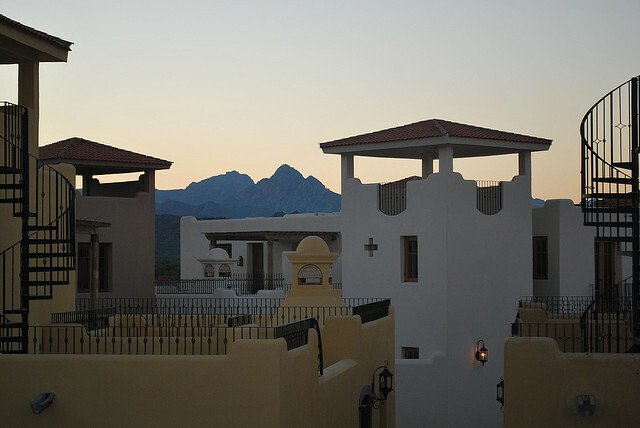 The Villages at Loreto Bay were just embarking upon its earliest phases of development when the economic crash of 2008 brought the project to a standstill. Remarkably, the vision for the project had galvanized “one of the most well-organized, powerful homeowners organizations in the world,” which enabled a new developer to step in and revive the project. Read more: “Will Loreto, Mexico be One of The World’s Most Sustainable Urban Destinations?” Forbes Magazine, 2013.